The Continental Organ was loaded with unique styling cues. The reverse color keys and orange top made this organ unmistakenly a Vox product. 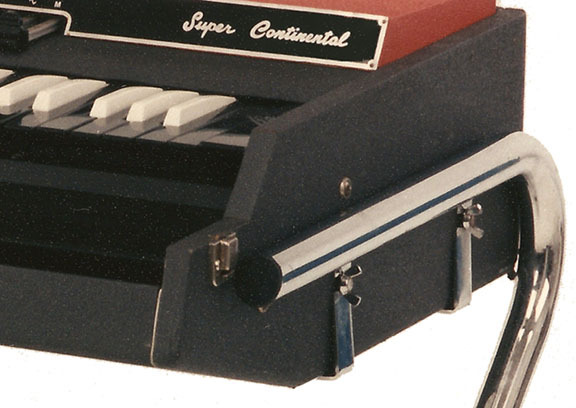 However, the unique chrome plated "Z" stand may have been the most distinctive feature of the Continental Organ. 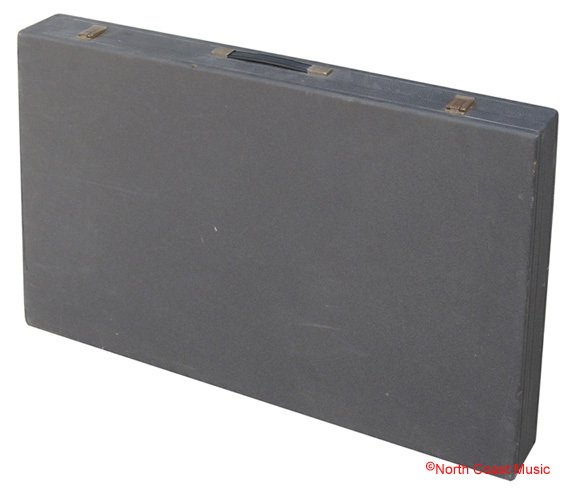 When JMI designed the original Continental Organ in 1961 and 1962, they contacted a British product design firm to come up with a distinctive design for their new poratble organ. The orange lid, reversed color keys and the "Z" shaped stand were all contributed by this design firm. The "Z" stands are completely interchangeable between the Italian, American, and British single and dual keyboard versions of the organ. In other words, the stand from a V303E Italian made Super Continental will also fit all three versions (V301J, V301H, and V301E) of the single keyboard Continental. The stand is affixed to the organ using eight threaded wing bolts. I have found that the easiest way to assemble the stand is to lay the organ upside down on the closed lid and partially thread six wingbolts into threaded body recepticles. Next I slide the "Z" legs into place and tighten the wing bolts. Then the flat front braces are connected to the ends of the drawbars and to the front body of the organ. Tighten the wing bolts and turn the organ over. The top end of the Italian stand is cut at a 20 degree angle and has a black plastic cap in the end. The front stand braces of the Italian made V303E cross over each other on the front face of the organ, as shown at left. This is unlike the front braces on the British and American versions of the Continental which meet at a single wing bolt. 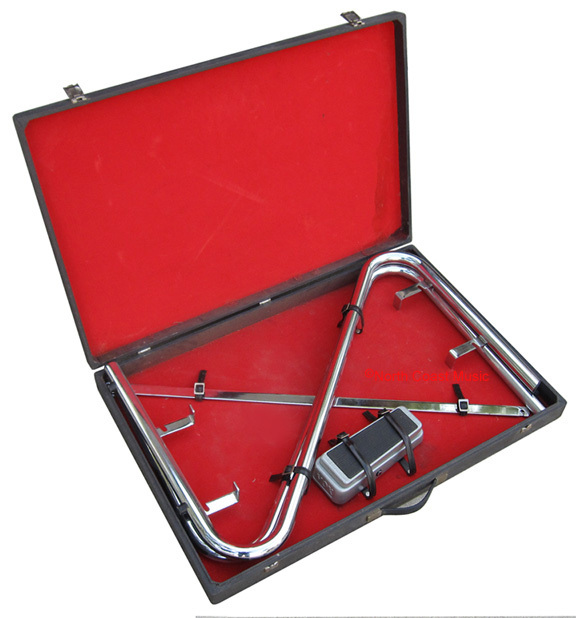 A slender carrying case for the leg set and volume pedal was included. It was covered in the same dark gray vinyl as the organ. 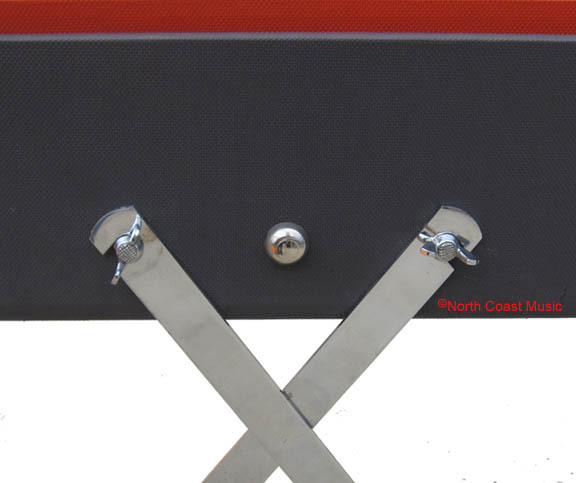 Vinyl straps restrained the legs and volume pedal for transport.